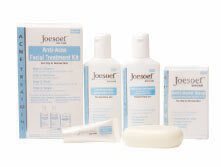 Free Sample of Joseoef Skin Care Products! Go here to request some nice skin care products from Joseoef! https://i2.wp.com/savvywifehappylife.com/wp-content/uploads/2011/01/Acne-kit-photo3-1.jpg?fit=221%2C167&ssl=1 167 221 Brandi https://savvywifehappylife.com/wp-content/uploads/2016/09/SavvyWifeHappyLife-logo-2.png Brandi2011-01-13 10:34:552011-01-13 10:34:55Free Sample of Joseoef Skin Care Products! Swagbucks Games! Free Horizon Organic Milk Coupon!